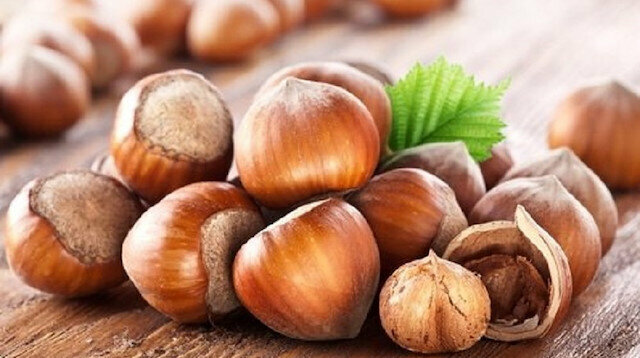 EU countries remained the top export market for Turkish hazelnuts, buying nearly 77 percent, or 110,262 tons, of Turkey's total hazelnut exports over the five months. Turkey, the world's largest hazelnut exporter, earned $1.78 billion with nearly 287,000 tons of hazelnut exports last season, from September 2017 to the end of August 2018. Turkey-US joint working group meetings are scheduled to be held in Washington on Tuesday, according to Turkish Foreign Ministry on Monday.In a written statement, the ministry said Deputy Foreign Minister Sedat Onal from Turkey and Under Secretary of State for Political Affairs David Hale from the U.S. will co-chair the meetings.The ministry has not provided further detail on the meetings.Turkey and the U.S. established a mechanism to address separate issues in working groups, including the stabilization of Manbij, a northern Syrian city, and to prevent undesirable clashes, following a visit by former U.S. Secretary of State Rex Tillerson to Ankara in February, 2018.The first working group had been held on March 8, 2018 in which the main principles of potential cooperation of Turkey and the U.S. were termed "constructive".The Fetullah Terror Organization (FETO), the group behind the 2016 defeated coup attempt in Turkey, visa issues and fight against the PKK terror organization were also discussed in working groups. A body is visible in the wreckage of the plane that crashed in the English Channel last month while carrying Argentinian footballer Emiliano Sala, British investigators said Monday.Based on analysis of video footage, an “object of interest on the seabed" was identified as wreckage from the missing Piper Malibu aircraft, said a statement from the U.K.’s Air Accidents Investigation Branch (AAIB).“Tragically … one occupant is visible amidst the wreckage,” it said.“The AAIB is now considering the next steps, in consultation with the families of the pilot and passenger, and the police,” it added.The AAIB also said they “intend to publish an interim report within one month of the accident occurring.”Upon the discovery of the wreckage on Sunday, shipwreck specialist David Mearns, who is leading a private probe, said details of the wreckage location were shared with the AAIB. "Wreckage of the plane carrying Emiliano Sala and piloted by David Ibbotson was located early this morning," Mearns said on Twitter on Sunday.Mearns later tweeted: "Tonight our sole thoughts are with the families and friends of Emiliano and David. "The Argentinian footballer was on his way to join his new club, Cardiff City FC, after signing a £15 million ($19.5 million) contract.The airplane was en route to Cardiff from Nantes, France before it disappeared from radar on Jan. 21 near the Channel Islands.